"Snow Queen" court includes, front row, from left, Carly Clement, Abby Crossen and Julia Tucker. On the middle row are, from left, Cianna Bruner, Holly Potts, Ariel Bruner and Violet Pasqua. Standing in back are Charlotte Edwards, Emma Hackney, Kate Havelin, Taylor Stallings, Elyse Rann, Grace Bell, Mia Carvajal and Trinity Bruner. › Where: Dalton High School, 100 Manly St., Dalton, Ga.
"Snow Queen" dancers, from left, Julia Tucker, Carly Clement, Taylor Stallings, Ariel Bruner and Holly Potts. The Creative Arts Guild in Dalton, Ga., and Ballet Dalton announce the 12th annual production of "The Snow Queen" will open tonight, Nov. 16, for four performances through Sunday, Nov. 19, in Dalton High School, 100 Manly St.
"The Snow Queen" ballet is based on the Hans Christian Andersen story of the same name. This will be the second year the production includes the Creative Arts Guild Chamber Orchestra, providing accompaniment for the dancers. The chamber orchestra will be conducted by David Pasqua. "The Snow Queen" was adapted into a full-length classical ballet from the fairy tale in 2005 by Guild dance director Jessie Fincher and former assistant dance director Elizabeth Fisher. The score incorporates pieces from composers Glazunov, Tchaikovsky and Delibes. The ballet features original choreography. The audience is introduced to four royal sisters: Spring Princess (a kind but lonely woman), Summer Princess (playful but selfish), Fall Princess (a wild gypsy) and the Snow Queen (beautiful but cold and conniving) in the first act. Through a flashback, the audience learns the Queen of the Sprites and her subjects made a magic mirror that controls the seasons of the four sisters. Snow Queen wants to possess the mirror and steals it with the Sprites' help. When stolen, the mirror shatters into a million pieces and one shard lands in the eye of a village girl, Kay. Snow Queen begins her search to find Kay and get the shard back. By her journey's end, the audience will discover how love can melt even the coldest of hearts. "'The Snow Queen' has become a true annual Dalton holiday tradition," says Fincher. 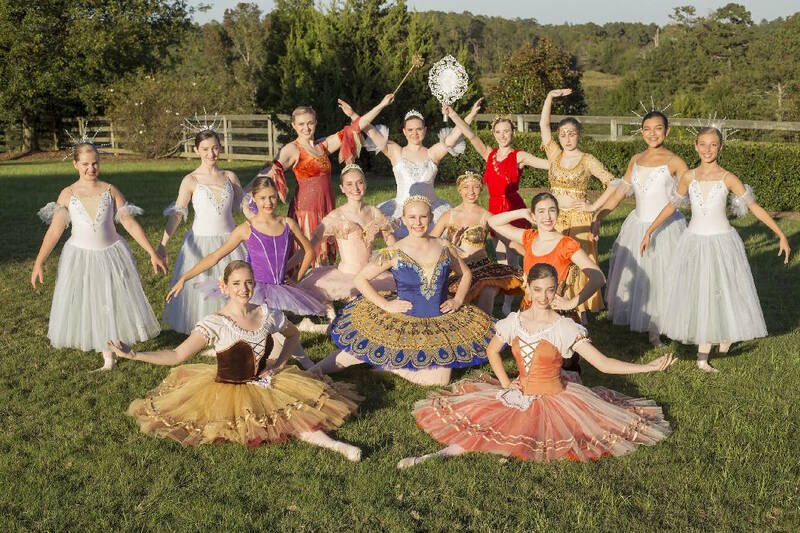 "Ballet Dalton principal dancers in 'The Snow Queen' are typically high school students; however, the production includes schoolchildren ages 5 and up from all over Dalton and the surrounding areas." Tickets are $18 adults, $13 students and senior adults.